“...whoever chose the term energetic wasn’t kidding...” Classical Guitar Magazine, U.K. Recognized for his energetic playing, his great virtuosity and his deep musical sense, guitarist Jean-François Desrosby has displayed his talent on the stages of the world. His formidable stage presence, marked by his ability to captivate and fascinate his audience, is lauded by critics. Two solo albums have been received with enthusiasm and have garnered numerous positive reviews. Desrosby’s artistic approach is directly influenced by his close relationship with nature and his passion for the outdoors. Many of his musical ideas stem from observing the natural forces around him. The artist manifests these elements through the strong contrasts that characterize his playing. His deep love for nature and his wilderness experience have led him to participate as a search and rescue volunteer coordinator in the forest and mountains of his region. A hand injury forced Desrosby to rethink his technique from the base. Extensive research in the fields of biomechanics and performance psychology have allowed him to pursue his career as a concertist. This knowledge also led him to a doctorate in the subject and inspired him to write the book Classical Guitarists: Unlock Your Potential! in 2011. He regularly publishes articles on performance psychology and biomechanics on the BrainyGuitarist.com blog. BrainyGuitarist.com. Many readers are interested in his research and work in these subjects.. In addition to his enthusiastic teaching at the Université de Sherbrooke, Jean-François Desrosby is in demand as a pedagogue. He regularly presents master classes and lectures for universities, conservatories and prestigious organizations such as the Guitar Foundation of America. 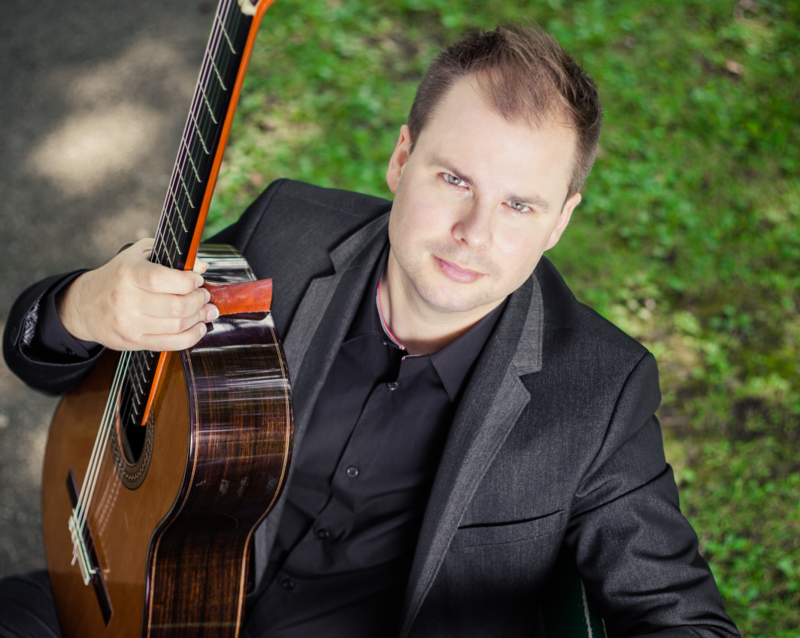 Jean-François Desrosby has been awarded highest distinction in guitar from the Music Conservatories in Quebec. He is a nine-time grant recipient of the Quebec Council for the Arts and Letters and has twice received from the Canada Council for the Arts. He also has been awarded scholarships from the Université de Montréal (doctoral), the Office franco-québécois pour la jeunesse and the Mc Abie Foundation, now known as the Wilfrid-Pelletier Foundation.